The expertise of our organization lies in designing ClichÃ© Plates by utilizing latest technologies. We are counted amongst the leading C ClichÃ© Plates Manufacturer, Exporter & Supplier in Faridabad, Haryana. 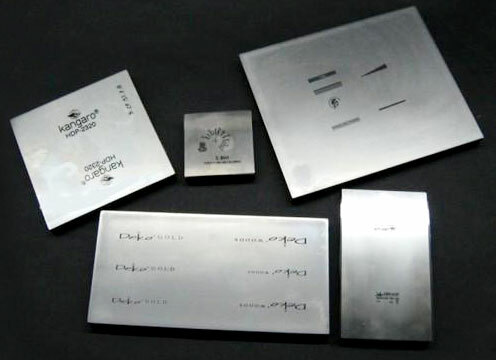 Made from thick Steel materials, ClichÃ© Plates are required for different types of pad printing jobs. Usage of ClichÃ© Plates ensures excellent pad printing results. ClichÃ© Plates are sized, ground, toughened, lapped and etched to ensure a perfect make.